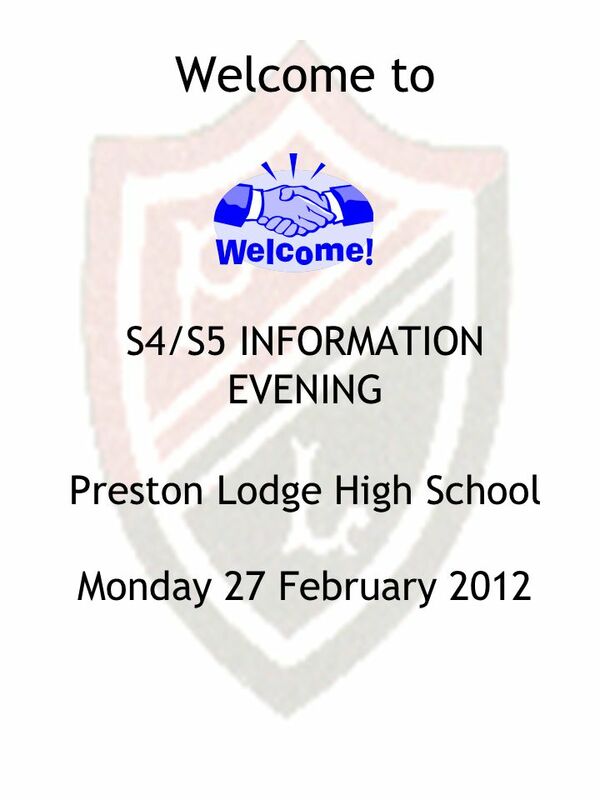 Welcome to S4/S5 INFORMATION EVENING Preston Lodge High School Monday 27 February 2012. 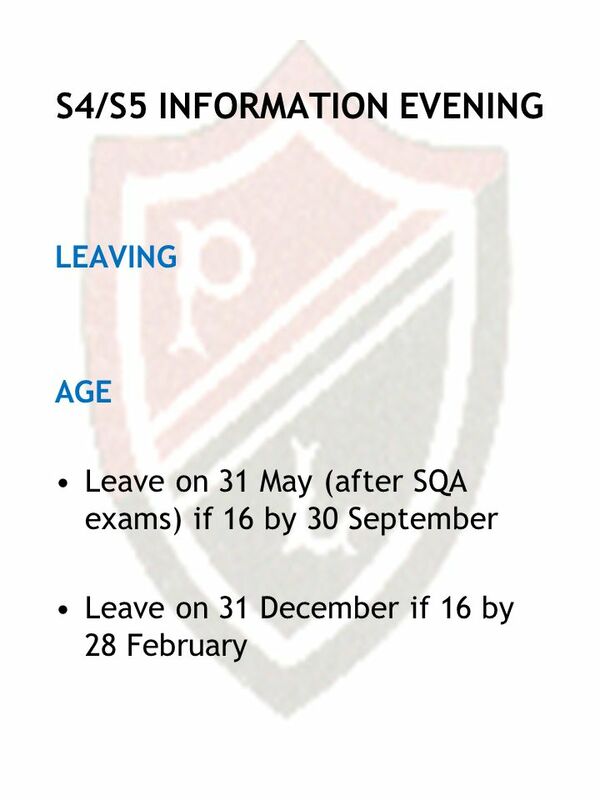 Download ppt "Welcome to S4/S5 INFORMATION EVENING Preston Lodge High School Monday 27 February 2012." Welcome to the KS4 Learning Pathways Evening Tuesday 5 th March 2013. 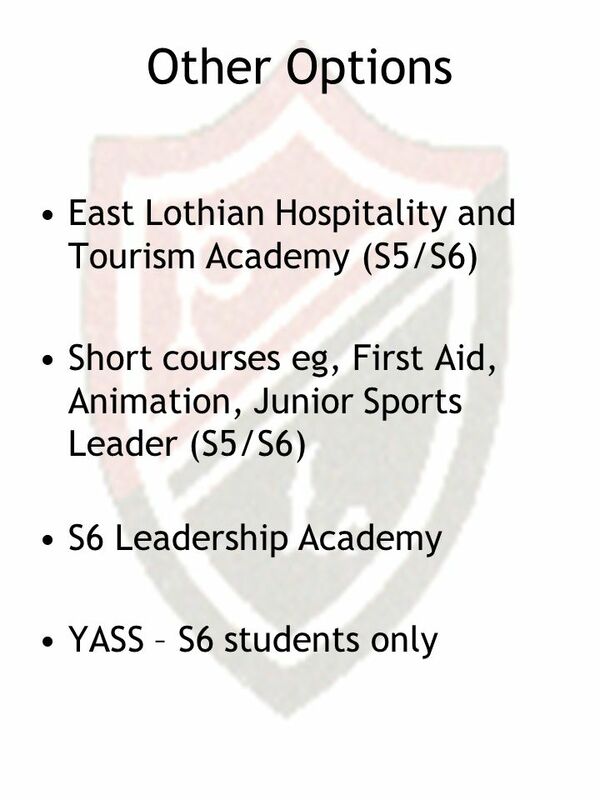 S5/6 INFORMATION EVENING Thursday 28 August 2008. 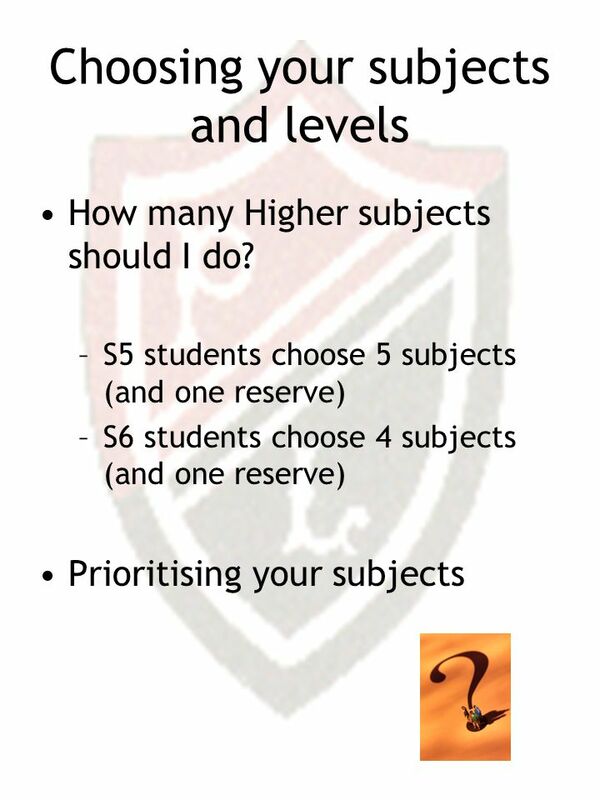 Curriculum for Excellence levels (a rough guide) 1&2 in Primary School 3&4 in S1 – S3. What is an EMA? 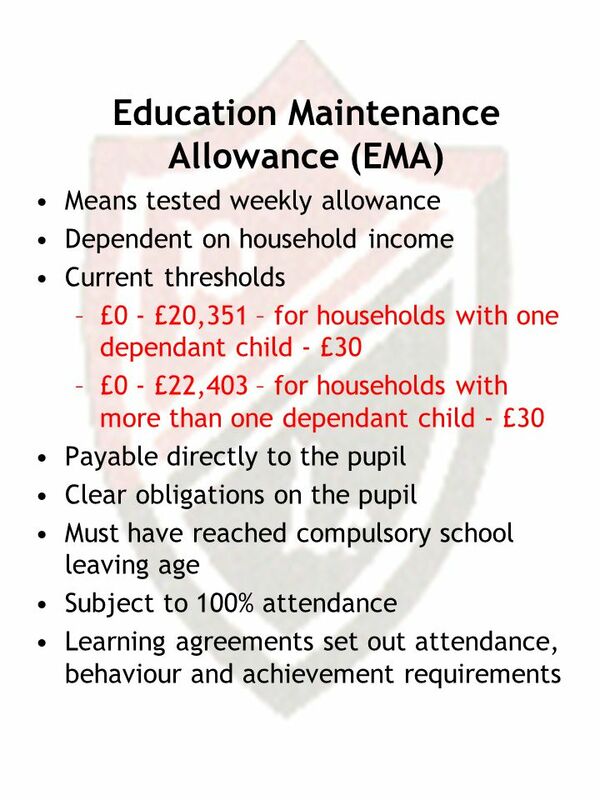  The Education Maintenance Allowance (EMA) is a means tested weekly payment of £30 paid directly to young people (age 16-19) who have. 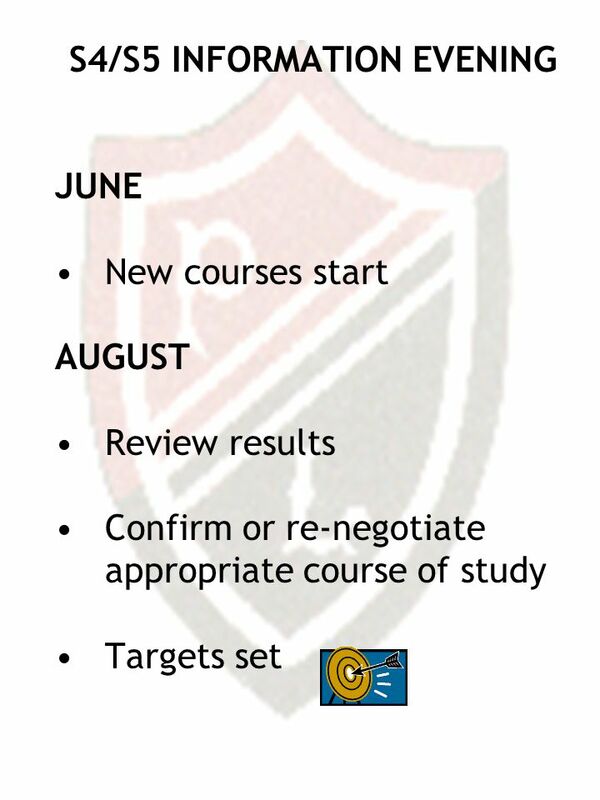 Year 11 GCSE Information Evening 16 th September 2014. 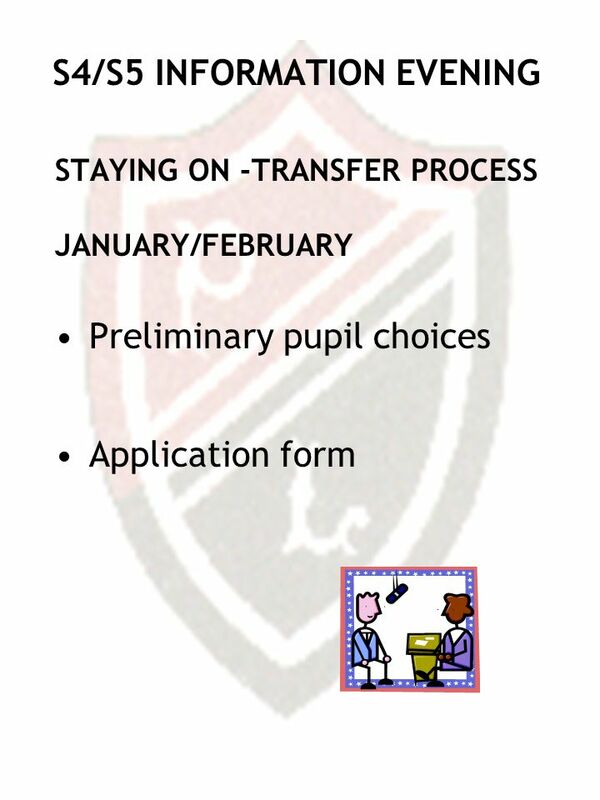 Curriculum Information Evening: Thursday 8 th January Making Option Choices for the Senior Phase. 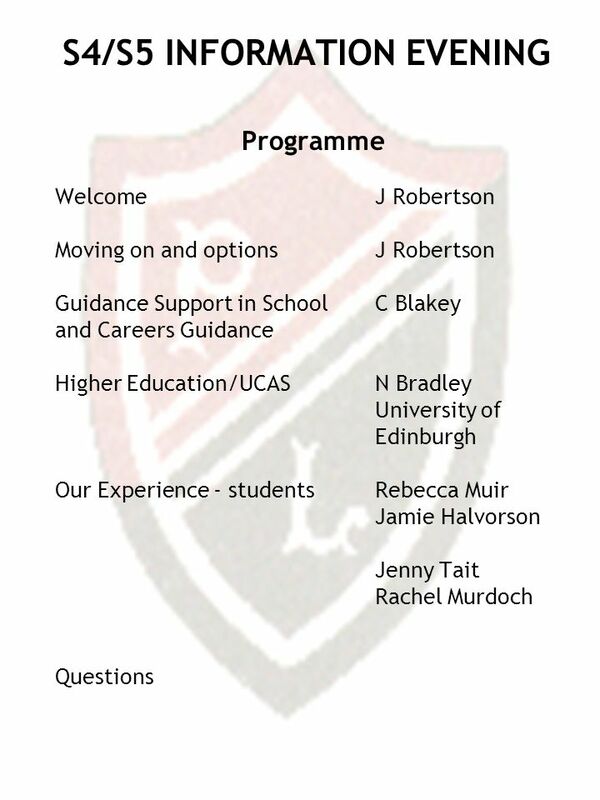 JANUARY 2014 Calderglen High School S4/S5 OPTIONS INFORMATION Working Together to Inspire Learning and Shape the Future. 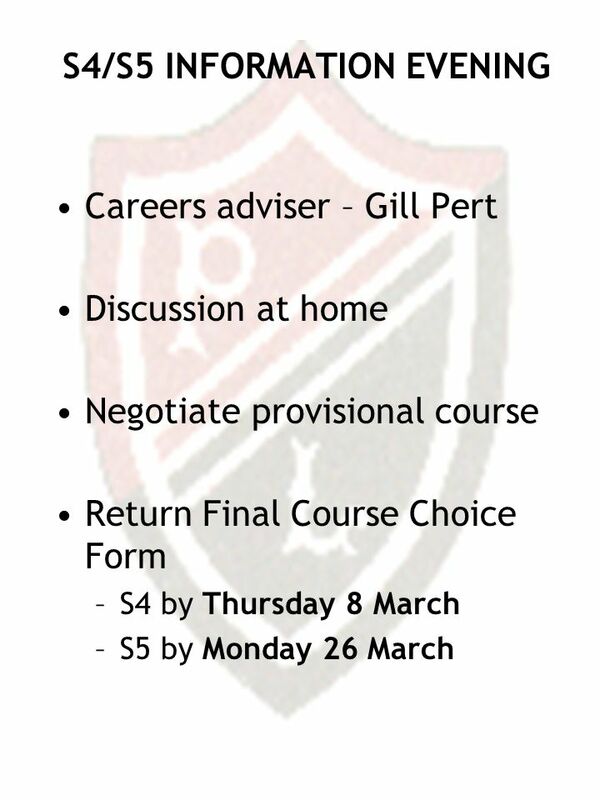 S4/5 Parents CfE Presentation Thursday 13 th March 2014. 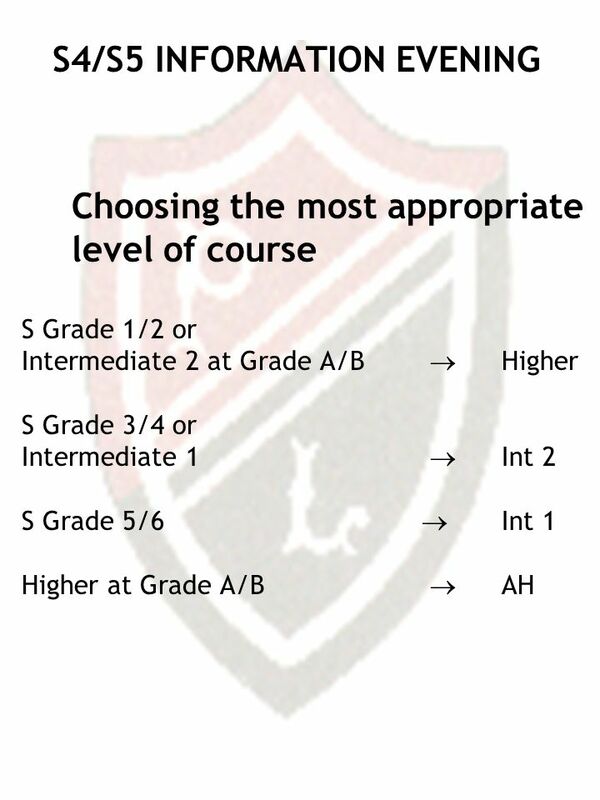 Course Choices… …making sense of it all. 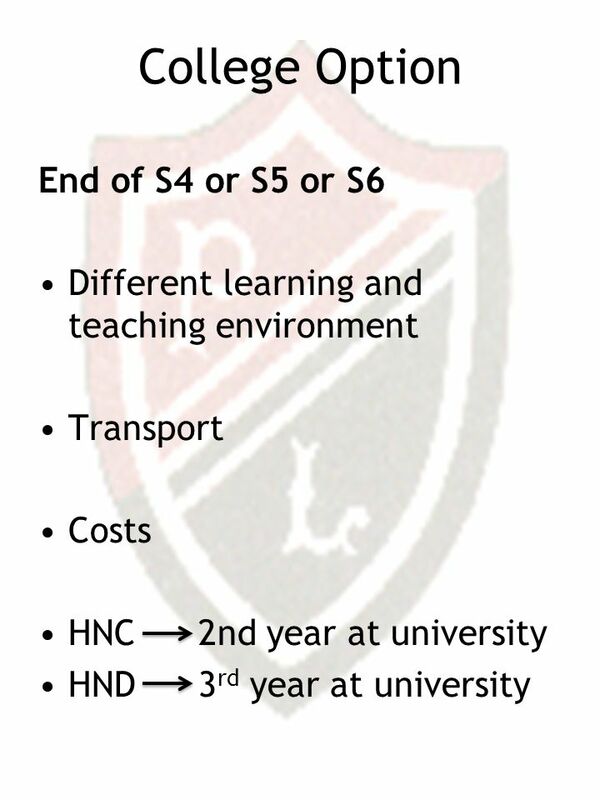 Options S4 and beyond The Options Process is the process by which students choose subjects that they wish to. 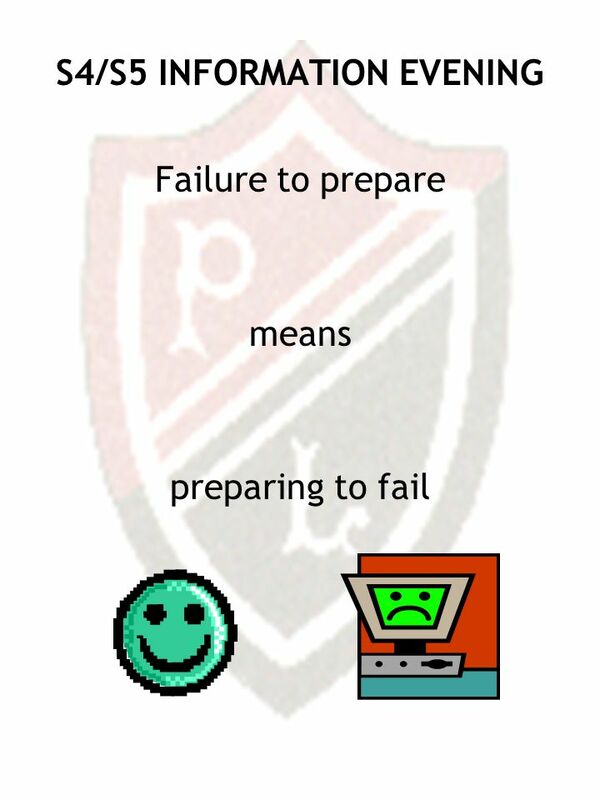 PARENTS’ INFORMATION MEETING 4 February 2015 WELCOME successful learners responsible citizens effective contributors confident individuals HAZLEHEAD ACADEMY. Welcome to Chryston High School SENIOR OPTIONS EVENING. Friendship Excellence Opportunity Welcome to Y9 Options Evening 27 th January 2015. 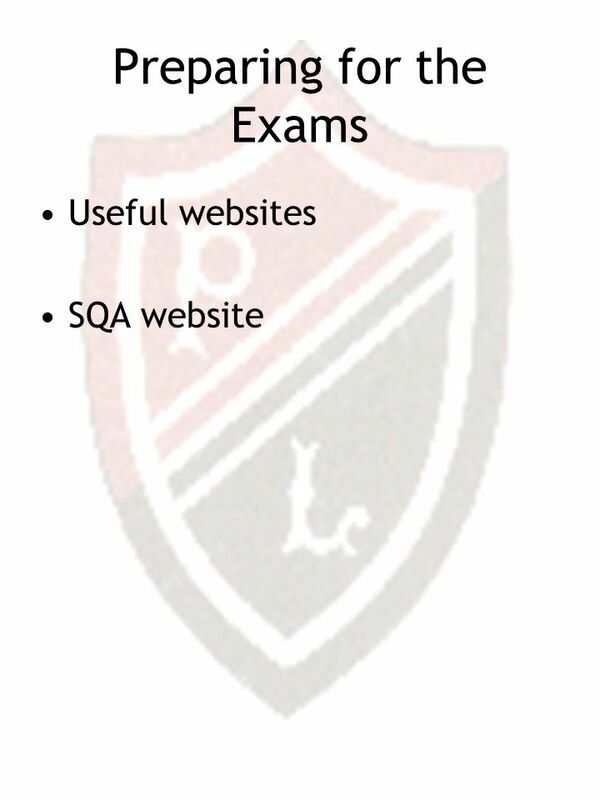 S3 Parents CfE Presentation Monday 3 rd March 2014. 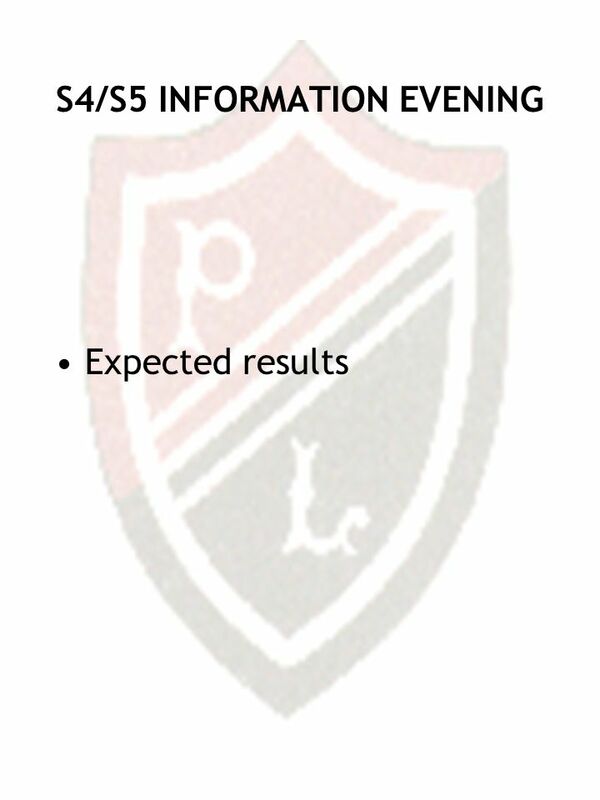 S3 - 4 Option Choice Parents’ Information Evening Thursday 30 January 2014 Lanark Grammar School. 1 Welcome! 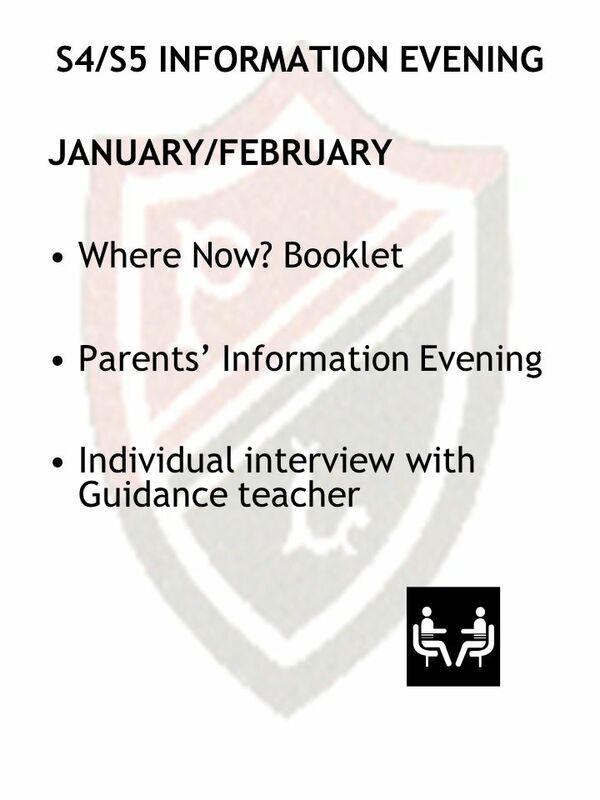 Parents’ Evening – S2 into S3 Course Choices Thursday, 4 th February 2010. Decisions, Decisions. 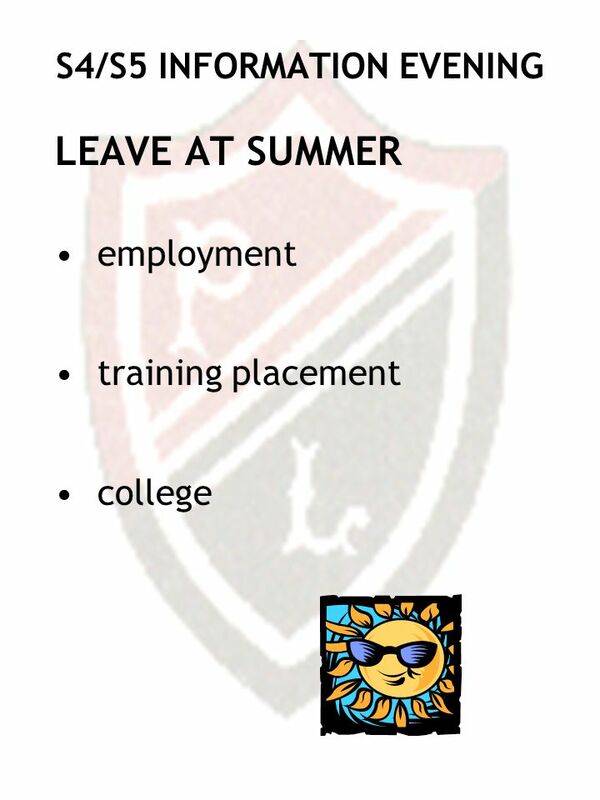 I have a definite idea of what I want to do when I leave school  I have no idea what I want to do when I leave I have some ideas. 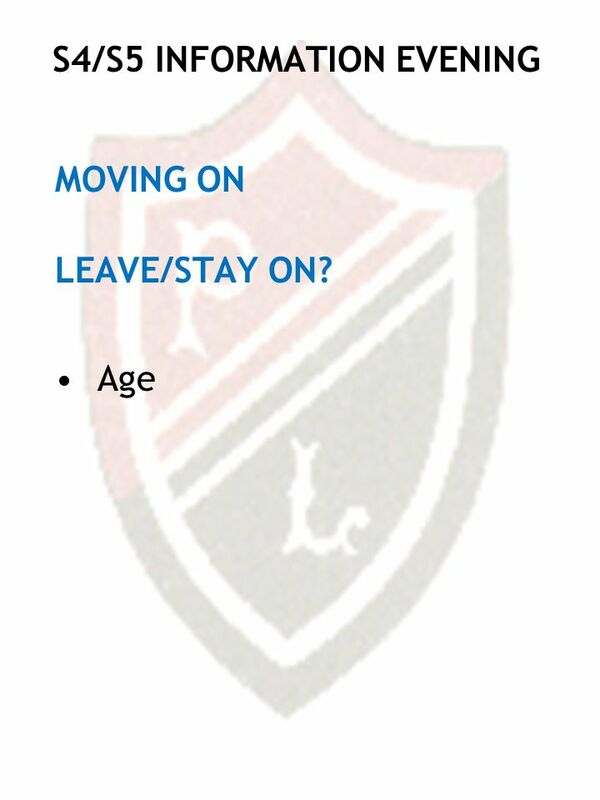 Llangatwg Community School YEAR 9 – Learning Pathways Which Way Now? Monday February 9 th 2015. Monk’s Walk School Year 9 Options Evening January 2014. Year 11 Parents Information Evening 2009 Welcome Jane Partridge (Headteacher) The year ahead Chris Norwood (Deputy Headteacher) NTC Sixth Form Lisa Donaldson.